If you have been charged with a crime in Escambia, Santa Rosa, or Okaloosa County, Florida, you need a local defense attorney that is experienced in handling judge and jury trials right here in Northwest Florida. A former prosecutor, Valerie Prevatte has been the lead attorney on hundreds of trials, and has successfully handled thousands of criminal cases including DUIs and driving offenses, domestic violence charges, firearm and weapons offenses, possession of illegal and prescription drug charges, any many other types of felony, misdemeanor, and juvenile charges. Being arrested and charged with a crime can have devastating effects. If you do not want to take your case to a jury trial, Valerie Prevatte can help you in negotiating for a fair resolution of your case. If you are a first time offender, you may be able to enter into a Deferred Prosecution Agreement, Pretrial Diversion, or an agreement for adjudication to be withheld. If you want to contest the State's charges against you, Valerie Prevatte will personally represent you throughout your case, from the arraignment to the jury selection to the rendering of a verdict; you won't be bounced from associate to associate. So many things may depend on the outcome of your case: your freedom, your livelihood, your reputation. If you have a teaching certificate, a nursing license, or a similar professional license, an arrest alone can result in further investigation and potential discipline by your licensing board. If you are a member of the military, a civilian arrest can derail your hopes of a promotion and jeopardize your career. 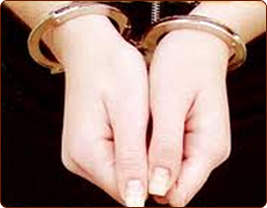 You need a criminal defense lawyer on your side, fighting for the protection of your legal rights and juvenile charges.